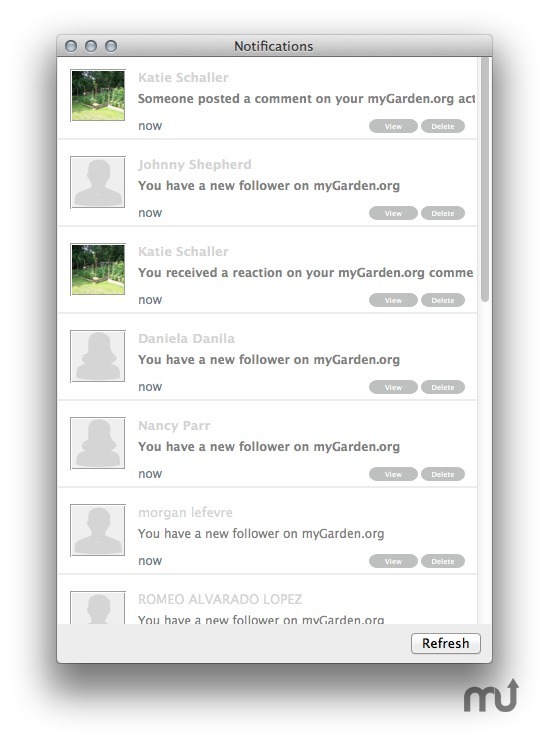 Profile accompaniment for any MyGarden.org member. Is there a better alternative to MyGarden.org MenuBar? Is MyGarden.org MenuBar really the best app in Internet Utilities category? Will MyGarden.org MenuBar work good on macOS 10.13.4? MyGarden.org MenuBar lets you manage your MyGarden.org inbox and todo's via this free Mac OSX Menubar application. MyGarden.org MenuBar needs a review. Be the first to review this app and get the discussion started! MyGarden.org MenuBar needs a rating. Be the first to rate this app and get the discussion started!